As co-leader and guitarist of ‘80s Britpop emotional bleeders The Smiths, Johnny Marr influenced a pimply generation of British kids, some of whom grew up to be the Stone Roses, Happy Mondays, Blur, and Oasis. The Smiths made magnificently moody pop for morose English teens fed up with punk and looking for a reason to love music again. The Smiths disbanded in 1987; Marr rose again with Matt Johnson's The The and more recently with Electronic, but he never again reached the highs of The Smiths. 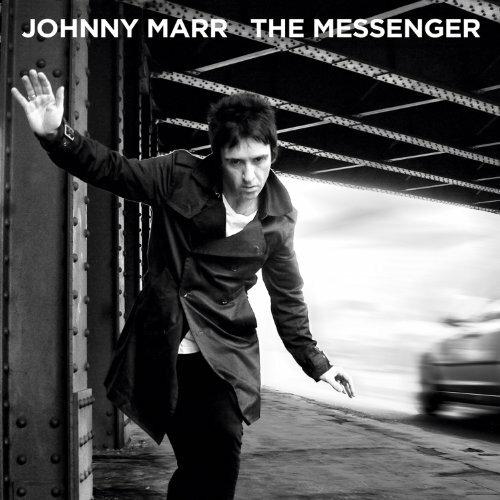 Hiring former Kula Shaker bassist Alonza Bevan and Who drummer Zak Starkey for The Healers, Marr mixes the inscrutability of The Smiths with an impetuous Britpop sheen for Boomslang. Full of lushness, texture, and delicacy, Boomslang is by turns anthemic and chilled, showcasing Marr as a gifted pop stylist who steals liberally from the many bands who once stole from him. A lazy vocalist, Marr's Boomslang cleverly nutshells British pop from 1980 to the present with all the shoegazing, Britpop, and retro-blues-punter styles you can imagine. Boomslang revels in a feeling of musical lethargy, but these tightly woven songs stick to your ears like glue. Raunchy blues riffs fatten "The Last Ride," a quivering bit of Manchester space-rock fluff. "Caught Up" continues the blues riffage, backwards guitars and Oasis-ready vocals painting the song into a corner, almost. "Down on the Corner" is a stirring song full of Da-Glo good vibes and San Fran hippie intent. "Need It" rocks with beat-box drums and epic guitars, recalling the live power The Smiths could muster. "InBetweens" is equally thunderous, in leisurely, misty mountain-top mode. Even when Marr floats the McCartney-esque "Another Day" or the repetitive fuzz rock of "Long Gone," Boomslang remains solid and nearly filler-less. "Bangin' On" closes Boomslang in grand style, with wall-of-sound drums and gush guitars firing a its blue-sky mood. Boomslang is an open, airy-sounding recording, with boomy bass and drums and shimmering guitars that wrap around your ears like a glowing Ferris wheel. Marr is back in style, and may The Smiths never hit the reunion trail. Вся музыка ещё не прослушана! Отличный альбом. Но где же он был раньше? ну что мешает скопипастить его(обзор) сюда, и указать ссылку на источник? Как-то даже сложно поверить, что это первый полноценный шаг Марра в сольном творчестве, для которого потребовалось полвека жизни. Дебют классика - звучит несколько парадоксально. И тем более поразительным получился эффект от полученного в итоге, учитывая абсолютную неожиданность для меня появления The messenger. Этот год полон ожидания возврата на сцену многих легенд: от Карла Бартоса, DM, OMD и Боуи до Кейва, Suede и Primal Scream, но Джонни словно вихрем вынырнул из под моста (хе-хе) и обошел их всех, по-крайней мере на данный момент. А "New Town Velocity" - новый гимн Манчестера, ну правда же? "Lockdown" - волшебная вещь, не могу оторваться! И в целом альбом, конечно, порадовал. Отличный альбом!! Ну хоть кто то, кроме МОзза, засиял!